Photo of Canada Geese at the Minesing Swamp in Ontario Canada. Looking southeast. 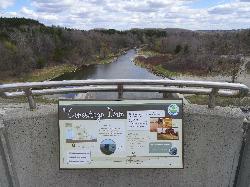 View of Conestoga River from the top of the Conestoga Dam bridge. 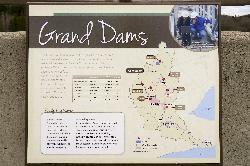 In the foreground is the information sign of the dam. Taken in January 1995. The falls were not frozen over at this point. Scanned from negative. 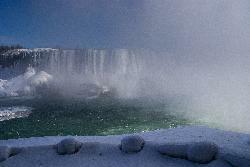 Niagara Falls in January 1995. This is the Canadian side of the falls. Image is a scan from a negative. 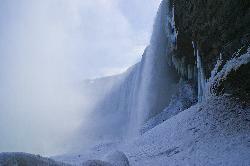 Photo of Niagara Falls taken in February. 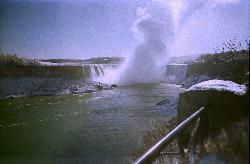 Photo of Niagara Falls from the tunnel underneath the Falls. Taken in the winter, February. 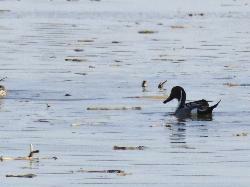 Northern Pintail Male looking for food. A female can be seen in the background. Taken in the Minesing Swamp in April 2014. Male Northern Pintail swimming in the spring runoff at the Minesing Wetlands. Located in Ontario Canada. This digital zoomed photo was taken in April 2014. Room in Nottawasaga Inn Resort and Conference Centre, near Alliston Ontario. View of golf course and Nottawasaga River. Room in Nottawasaga Inn Resort and Conference Centre, near Alliston Ontario. 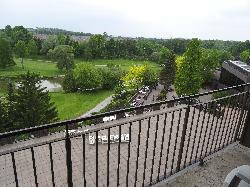 View of golf course, conference patio and Nottawasaga River from balcony. 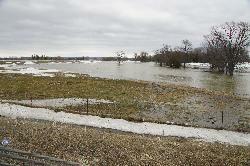 Photo of the spring swell of the Nottawasaga River, taken near the entrance to Minesing Swamp at highway 26. Taken March 18th. 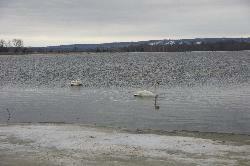 Pair of Trumpeter Swans in washed out field. 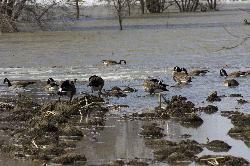 Photo of a pair Trumpeter Swans feeding in a washed out field at Minesing Swamp and Nottawasaga River during the spring swell. Male Ring Necked Duck swimming in the spring run off at Minesing Swamp, also know as the Minesing Wetlands. Taken in early April 2014. 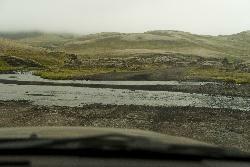 Photo of watercrossing along F208 Iceland north towards Landmannalaugar. This river is located near Ofaerufoss in Eldgjá. Sears Tower from Chicago River tour. 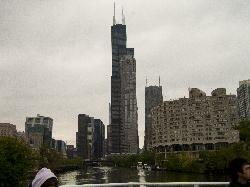 Photo of the Chicago Sears Tower from the Chicago River Boat tour. Sign showing the path of the Markarfljot river, and relted waterfalls, like Seljalandsfoss. Source of the river is the Eyjafjallajokull glacier. 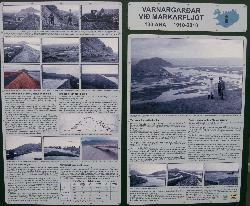 Sign showing history of washouts from Markarfljot river. Located at Seljalandsfoss. 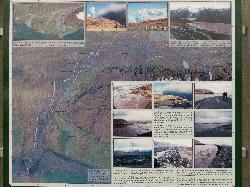 Road was washed out from the recent Eyjafjallajokull eruption.